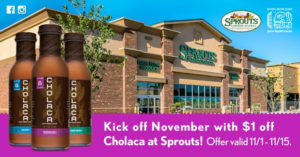 In theme with the season of giving thanks, we want to thank you for all your support this year by giving you $1 off our special pure liquid cacao drink at Sprouts for the first two weeks of November! Click here to find the store nearest you. This month we will be dedicating our time to thanking all of our tribe members who have taken part in making our sustainable chocolate drink successful this year. Tell us what you’re thankful for by replying to this email or tagging us on Facebook with a photo and short blurb including #cholacathanks. The lucky winner will receive a $10 Sprouts gift card! 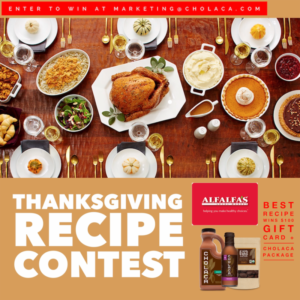 In honor of Turkey Day at the end of this month, we have partnered up with Alfalfas and will be holding a recipe contest from 11/7/16 – 11/27/16! We want to see who can come up with the most creative and delicious recipe using Cholaca with Alfalfas Market ingredients. 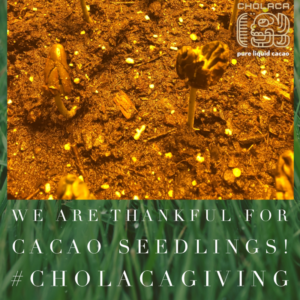 Take a picture or film a recipe video of your Thanksgiving themed Cholaca recipe and send it to marketing@cholaca.com OR post on social media with #cholacarecipecontest. For example: A hot pure liquid cacao drink with pumpkin spice and whipped cream. 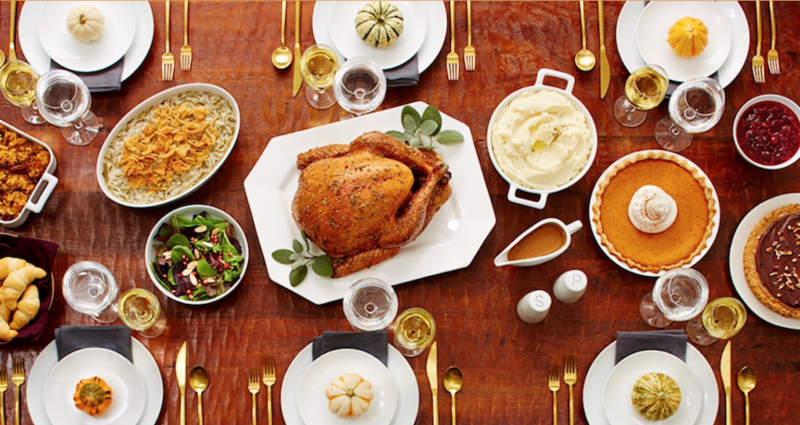 We will be re-posting recipes to our page all month long and will pick a winner on Monday, November 28. The winner will receive a $100 Alfalfas gift card and a special Cholaca prize package.